Suvarov’s disciples, notably Pyotr Bagration and Mikhail Kutuzov, strove to maintain the reforms he had brought, but the short, reactionary reign of Paul I (1796- 1801) undermined the foundations of the army. The son of Catherine II, Paul was raised largely by his grandmother, Elizabeth I, and her trusted minister, Nikolai Panin. Upon his ascent, Paul set about reversing many of Catherine’s policies. He replaced the army’s cheap and comfortable uniforms, which were distinctly Russian and eminently practical, with Prussian- style parade uniforms. Paul was also fond of parade and drill, and in 1796 he introduced The Infantry Codes, a set of instructions that focused on discipline, formation, and the outward appearance of both soldier and unit. Suvarov had largely ignored them, but common soldiers did so at their peril, for Paul was also an advocate of corporal punishment. 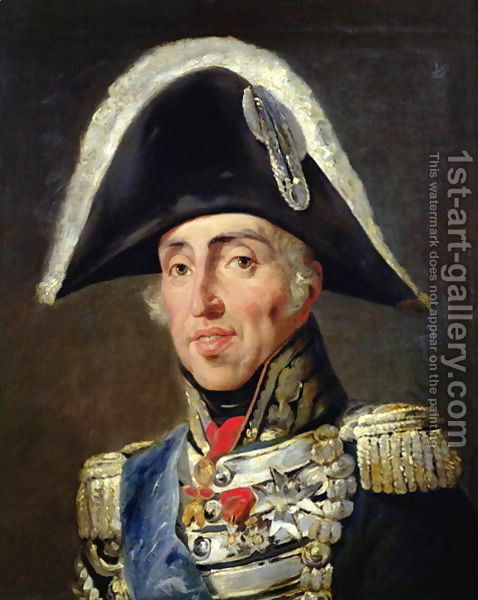 His choice for quarter-master general, Alexis Arakcheev, so shared this temperament that during 1798 several units mutinied and an officer committed suicide rather than follow his orders. 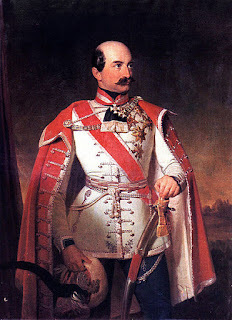 Deprived of his offices upon the murder of Paul I, Arakcheev was soon reinstated and provided useful services to the new emperor, Alexander I. The damage had largely been done though; during Paul’s reign, the upper echelons had become corrupt, and officers, largely drawn from the upper nobility, cared little for the soldiers and knew less of military strategies and tactics. The Russian armies that fought Napoleon at Austerlitz, Eylau, and Friedland performed admirably in the face of such difficulties, but were defeated in the end. Alexander signed the Treaty of Tilsit in July 1807, which pledged Russia to support the Continental System against Great Britain. Russia also lost the Ionian Islands, and had to evacuate the principalities of Wallachia and Moldavia. During Russia’s brief interval of peace, Alexander and Arakcheev worked to reform the army. Taking the lessons of Austerlitz, Arakcheev had already introduced reforms to the artillery known as the “System of 1805”; this reorganization deployed 6- and 12- pound guns throughout the army, and created light and heavy foot artillery battalions that operated independently. He further improved officer training, and issued a new series of regulations that incorporated many of Suvarov’s ideas. 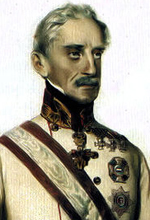 Promoted to minister of defense in 1808, Arakcheev improved the army’s supply operations, and the grading of the general staff. During the Patriotic War of 1812, he supervised army recruiting and managed supply. 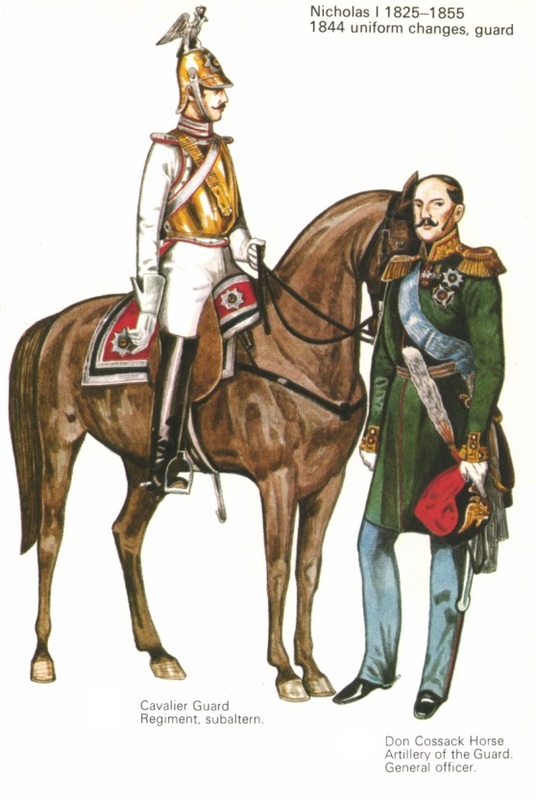 Alexander I’s turn back to the enlightened military ideals of Suvarov appeared of little worth in the early stages of the Patriotic War. Under the command of Field Marshal Michael Andreas Barclay de Tolly the Russian armies fell steadily back before the onslaught of Napoleon’s 500,000- man Grande Armée . Tolly made a brief stand at Smolensk in August 1812, but left the city smoldering and resumed the retreat, scorching the earth to deny the French ready supply. After three months of avoiding battle, Tolly was replaced with Kutuzov, who practiced similar tactics. Kutuzov had the good fortune- or cleverness- to engage Napoleon outside of Moscow at Borodino, however, just before winter was to arrive. The Russians arguably lost the battle, with Kutuzov leaving the field that evening having suffered some 40,000 casualties from a force of about 150,000, but it was there that Napoleon lost the war. When he departed Moscow at the end of October, the French emperor found Kutuzov waiting for him; the Russians successfully blocked an attempt to retreat via Kaluga and then harassed the emperor’s forces all the way back to East Prussia. Contrary to popular belief, the Russian armies of Tolly and Kutuzov were not large forces; they retreated because they could not match the strength of the French. Even as the Grande Armée returned west, it remained equal to or larger than Kutuzov’s force for most of the way. 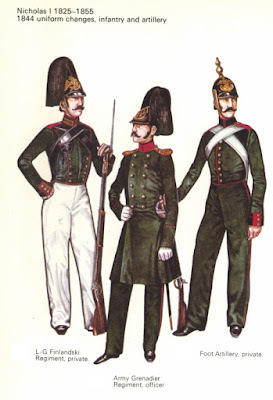 Not until the spring and summer of 1813 did the Russians’ mass reserves sufficient not only to pursue the French but to engage them. The immediate results again were not good; Kutuzov had passed away in April 1813 and his successor, Peter Wittgenstein, was defeated at both Lützen and Bautzen. Russian armies did take part in the allied victory at Leipzig though, and in January 1814 they invaded France under the direct command of Alexander I. While the Russian armies thus were ultimately successful in returning to the ways of Suvarov, the Patriotic War changed something in Alexander. Scholars have debated whether it was the malevolent influence of Baroness de Kruedener, a revolutionary conspiracy among his imperial guardsmen, or a putative kidnap plot- or all of these- that turned the former supporter of liberalism (at least in a limited sense), but something did. Upon his return from Paris, where he had constructed the conservative Holy Alliance, Alexander set about restoring the discipline and methods of Arakcheev and Paul I in the army. In the Semeonovsky Regiment, which he personally commanded, Alexander introduced such strict discipline, enforced by endless drill, personal abuse, and floggings that a mutiny ensued. There were at least 14 other such incidents between 1816 and 1825. An additional feature of Alexander’s attempt to restore discipline and morality to the army was the creation of military colonies in Novgorod and southern Ukraine. Benignly interpreted, these establishments were designed to reduce the costs of maintaining an army, foster camaraderie among units, and instill discipline. Essentially, they consisted of large estates populated by government serfs organized into battalions of “farmer- colonists.” Each farmer- colonist had an obligation to support not only his family but also two “soldier- lodgers” from his allotment of land. The soldier- lodgers provided labor for the many projects Alexander and Arakcheev lavished upon the colonies, including roads, sidewalks, and well- designed houses. The farmer- colonists also received decent farming equipment and livestock from the government. They hated the colonies nonetheless. Both farmer- colonists and soldier- lodgers were required to wear uniforms at all times. They spend mornings at drill, and lived on military time, their activity governed by the call of bugle and drum. Male children began drill at age 6, and were sent to special military schools at age 12; they began regular military service at 17. In some colonies, and notably on Arakcheev’s personal estate, women were expected to bear children annually to supplement the levy. 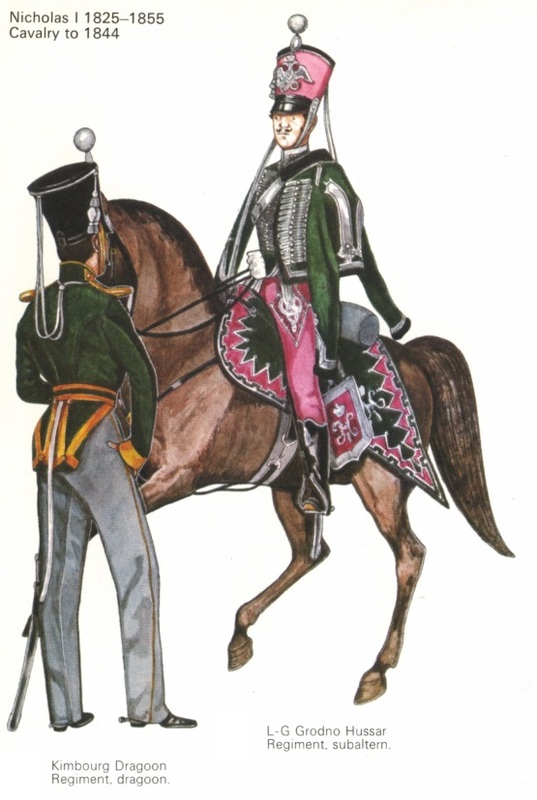 These strictures and others led to a number of rebellions; in 1819, two cavalry regiments revolted in Ukraine and over 2,000 men were arrested. Others, notably those who had served as junior officers with Alexander in France, revolted in other ways. 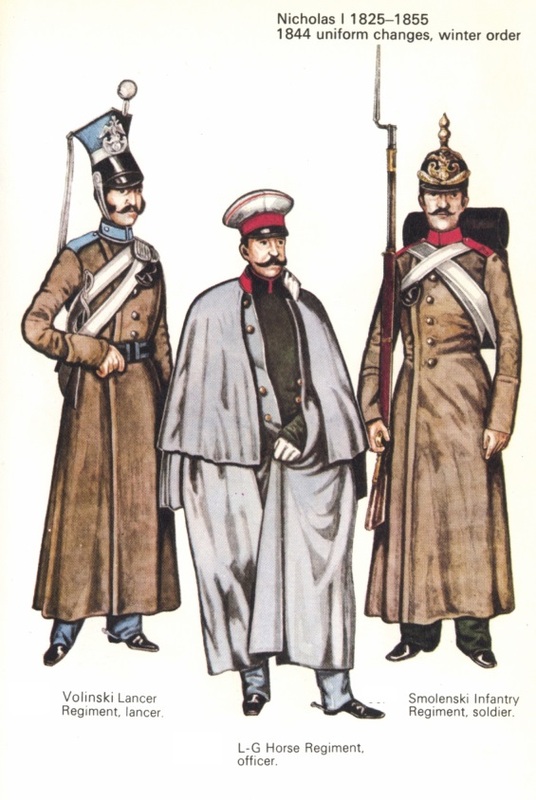 Many of the Guards and army officers joined secret, liberal societies dedicated to the reform of Russian institutions, including the army. When Alexander banished the rebels from his Semeonovsky Regiment to Ukraine, he merely dispersed the movement without destroying it in the capital. By 1825, there were two groups involved in a widespread conspiracy: the Northern Society of St. Petersburg, and the Southern Society housed in Second Army in Ukraine. 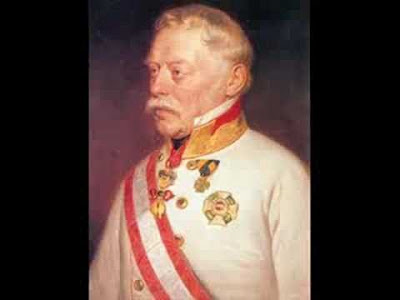 Both groups hoped to abolish serfdom; disband the military colonies; institute responsible, representative government; and reform the military system. Alexander I died before they could enact the plot to assassinate him; however, the Northern Society seized the opportunity to attempt a coup- the Decembrist Revolt- and force the successor to bow to their demands. If Nicholas I had ever had any grand intentions of reform, the Decembrist Revolt likely stifled them, for among the plotters were 16 major generals, 115 colonels, and 315 company officers representing 40 of the army’s 256 battalions. The failed coup thus not only stripped the army of many of its best officers, it instilled a distrust between officers and between units. Nicholas did work to alleviate the harsh conditions Alexander had imposed upon the army, however; he dismissed Arakcheev and eased restrictions on farmer- colonists. The general term of service was reduced to 15 years, and Nicholas sponsored military legislation that eliminated some of the harsher punishments and generally encouraged more humane treatment of the enlisted. Provisioning was improved notably, and a system of dedicated military hospitals was created. 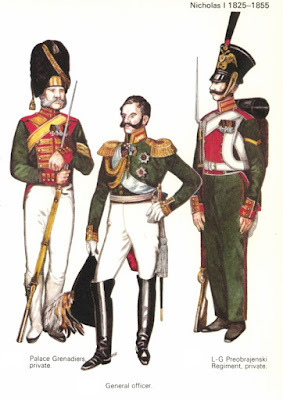 Military education also improved, as Nicholas established 18 additional cadet corps and, in 1832, a military academy to train general staff officers. Training remained largely for show, however, and military equipment was little improved. While the Russian Imperial Army thus appeared magnificent and overwhelming, and produced a string of triumphs when pitted against the Persian and Ottoman armies, or against Polish or Hungarian rebels, by 1853 it could no longer stand against the modern armies of Europe as it had half a century before.